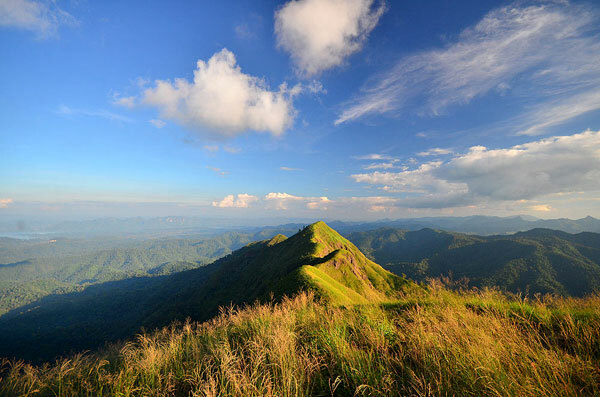 Khao Chang Phuak has a nick name as Sharp Mountain Ridge, because the walkway on the mountain ridge is really narrow. 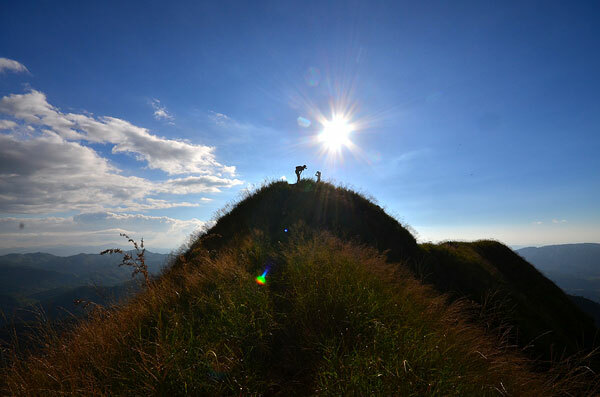 This mountain is approximately 1250 meters high from the sea level, which can be ranked as the third highest mountain in Kanchanaburi. 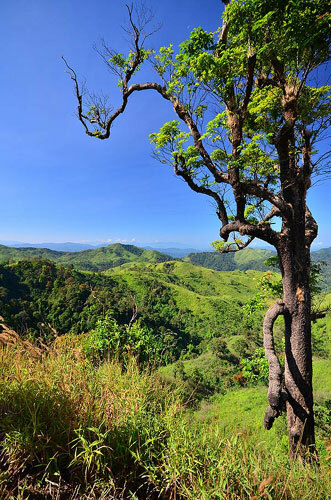 At the topmost area, visitors can see a fascinating panoramic view without any large trees blocking their sight. 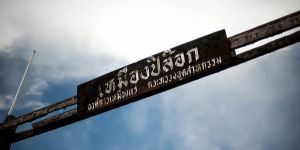 Before hiking up on this mountain, visitors need to make a contact with an officer of Thong Pha Phum National Park for registering visitors' name first. 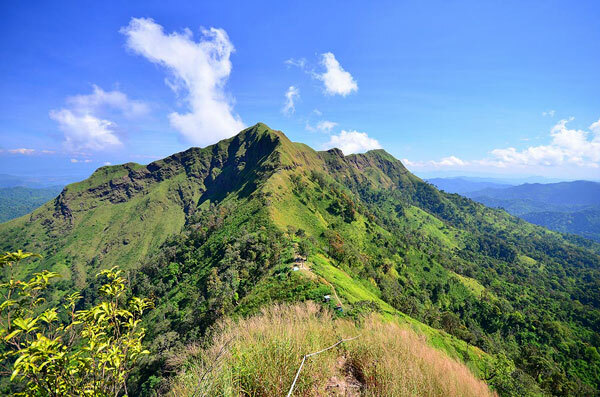 The limit of visitors that can go hiking to this mountain per day is only 60 people, since the camping area is not large enough to support a larger number of visitors to stay. 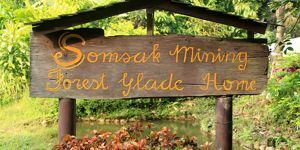 Visitors usually come here to stay over a night. 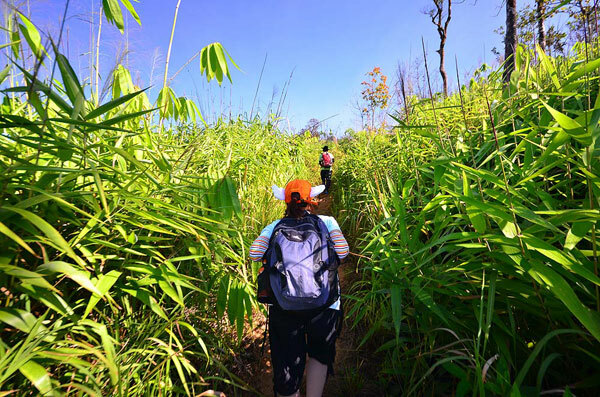 This hiking trip starts from behind Etong Village. 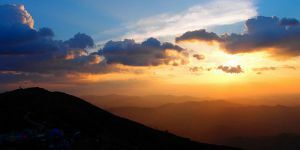 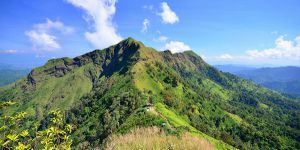 Visitors need to climb up about 8 kilometers to reach the camping point on the mountain, which usually takes approximately 4-5 hours. 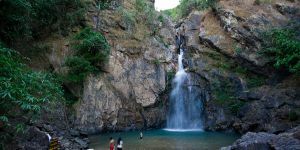 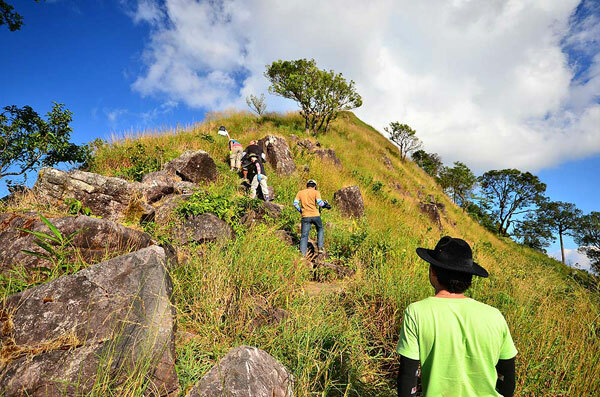 Not far from the camping point, there is a challenging spot for visitors to climb up before reaching the peak of the mountain. 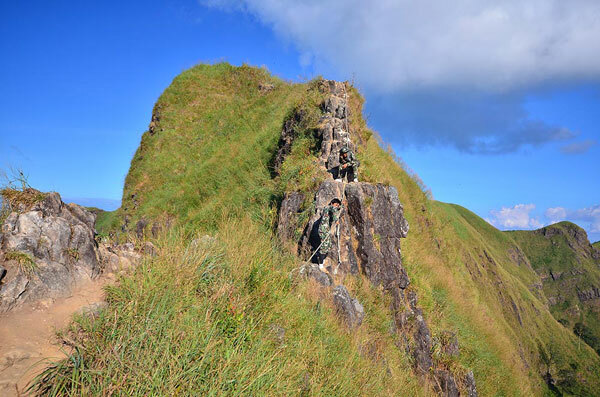 Some people decide not to reach the peak because of this spot. 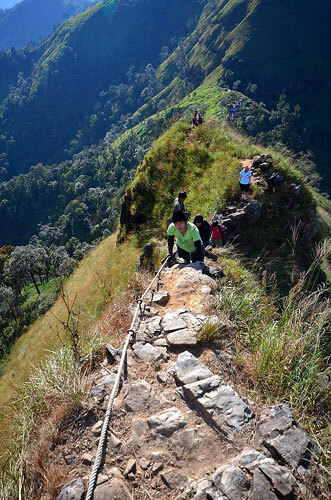 It is very small way to climb up and visitors can fall down from the cliff on both sides. 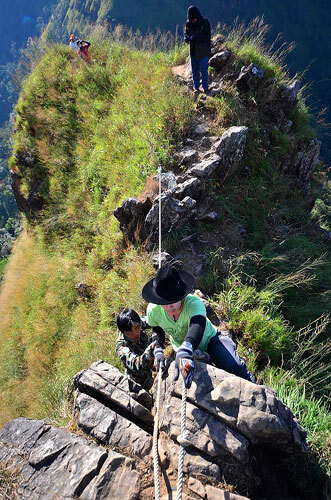 However, in the present, there is a rope provided by the park and there are a few officers stay there to support visitors to climb up to the top peak of the mountain. 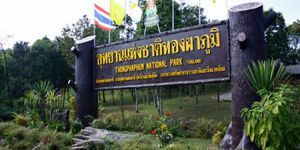 To visit Khao Chang Phuak, visitors need to go to Thong Pha Phum National Park to make a contact with the officer. 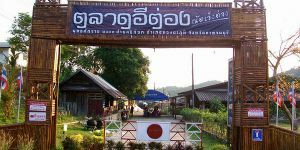 In this case, visitors should take a Bus from Mochit 2, Bangkok, depart from 5 AM, because after get off the bus at Thong Pha Phum district, visitors have to take a yellow Baht Bus (Songthaew) at Thong Pha Phum market on 10.30 AM (not sure for the other time available). 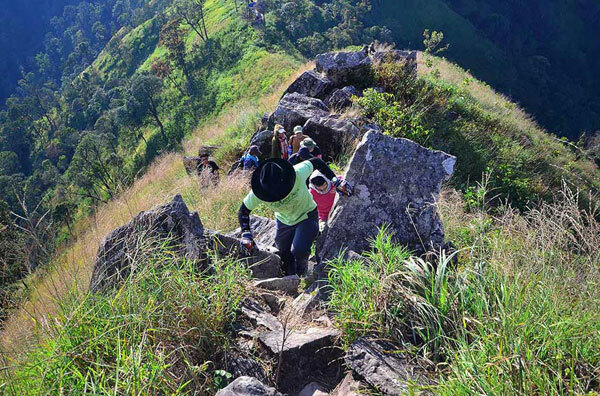 It will take about 2 hours to the national park. 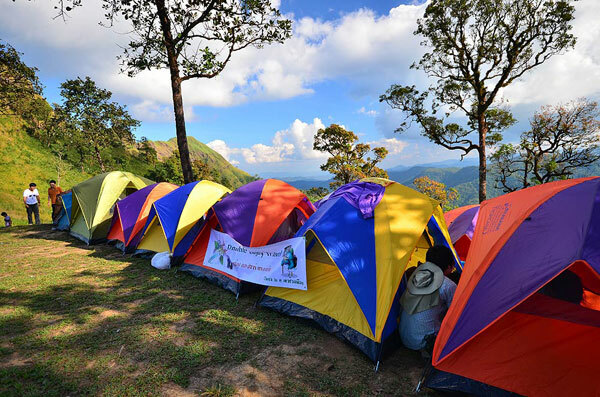 By the way, to visit Thong Pha Phum National park with package tour may be available.